For the outside observer, the Goldbeck corporate headquarters today conveys a highly heterogeneous picture, both spatially and formally, which is based on its gradual growth. 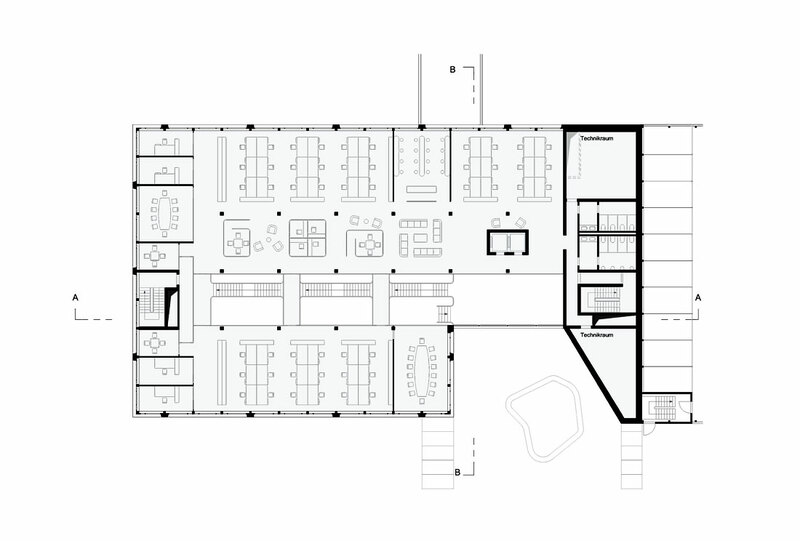 The individual parts of the building, each designed according to functional aspects, are largely arranged on the site without a recognizable spatial relationship to one another. However, the attractively designed landscape in the center of the northern company premises brings about a special quality for the place. One design strategy is the further development of this space. On the one hand, the parts of the building flanking the campus are bound together spatially; on the other hand, an outdoor space with an iconic effect has been created. There is a central water feature that runs through the entire area as a connecting element. The arrangement of the new buildings follows the landscape theme. 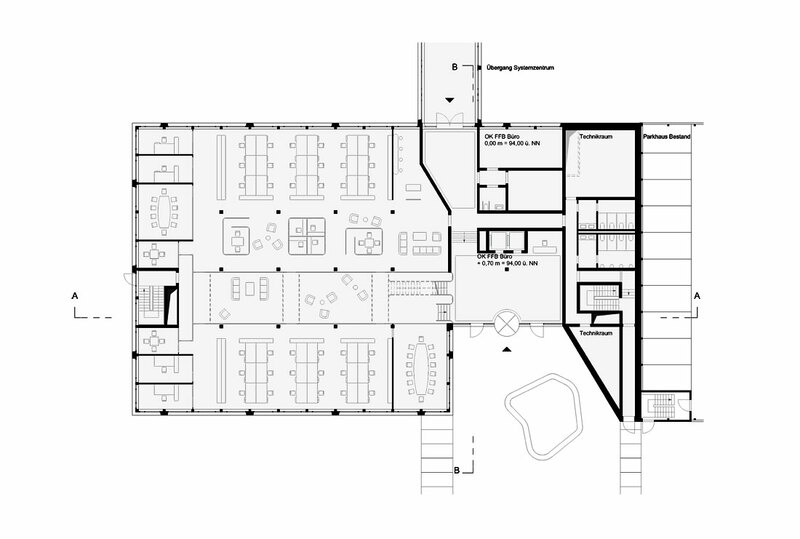 Thus, they strengthen the “flow” of the external space through their location and orientation, instead of aligning themselves with existing building elements. The solitary buildings unfold as independent characters, which refer to their respective function. All redesigned buildings are based on a common design theme derived from the application of the Goldbeck system. 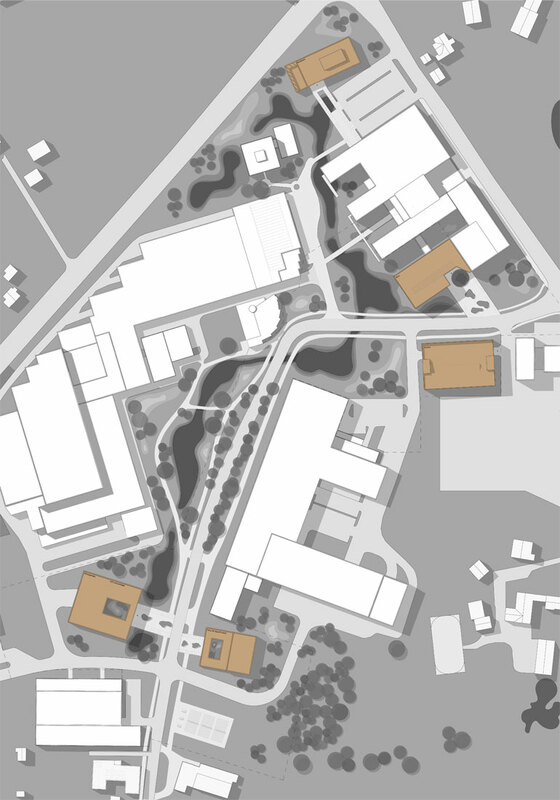 As a result, the buildings are tied together into a tangible ensemble whose unmistakable character is directly related to the Goldbeck product. 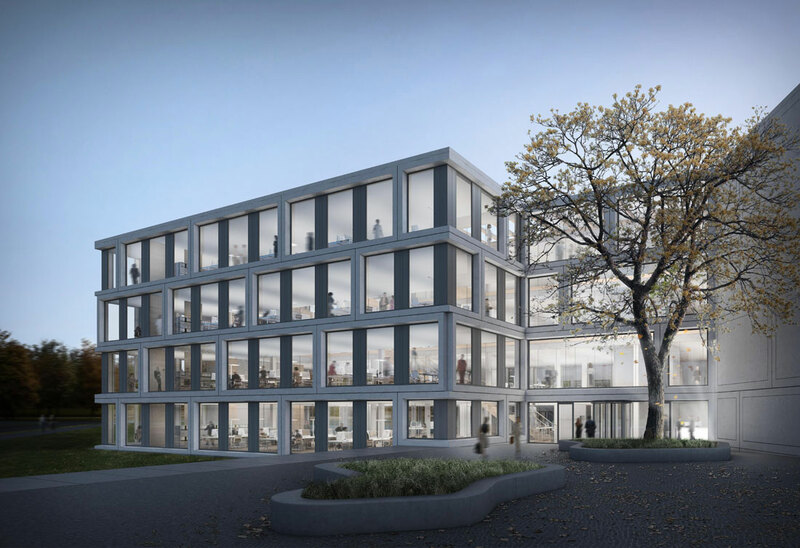 The focus of the design is on a new wing of the building, which continues the integration of building and exterior space that began with the system headquarters. 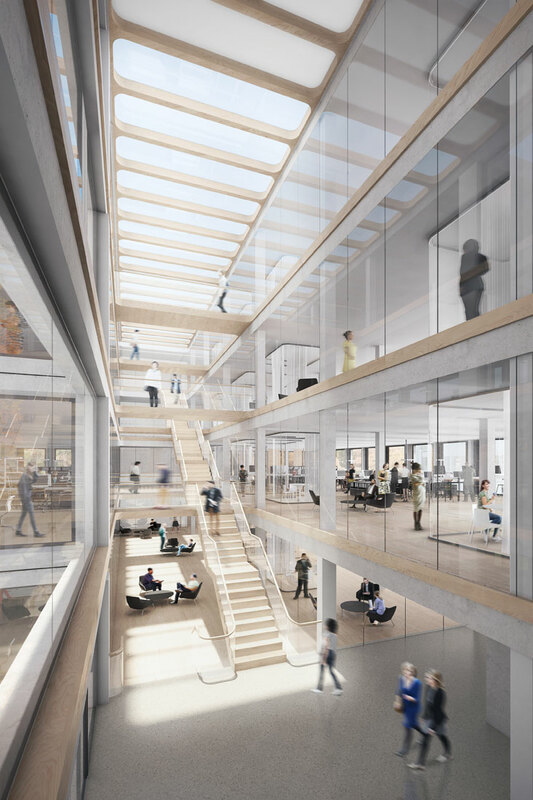 In the center of this wing lies a glass access hall, which, in addition to its function as an experiential space, connects all work areas via stairs and bridges and thus facilitates the exchange between the employees. Last but not least, spatial transparency should contribute to strengthening a feeling of belonging and identification with the company.